Destiny Millennials Arise allows individuals ages 18-35 to come together for food, fellowship fun and spiritual encouragement. Millennials go out and do fun, planned activities all while cultivating a greater understanding and closer relationship with God. This young adult ministry is a great opportunity to meet new people in a free and relaxed environment. The goal is to start a forest fire for God that gather the millennials in a setting where they don’t feel pressured to be anyone but themselves. 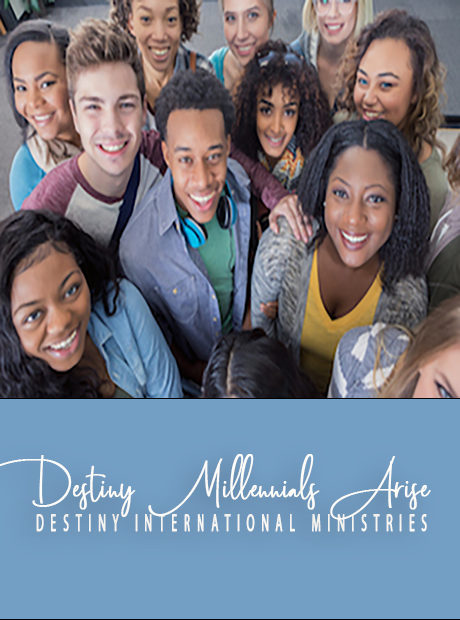 A place to truly allow millennials to have a better understanding of God, and to point them to Destiny International.